Mountains are a wonderful thing. 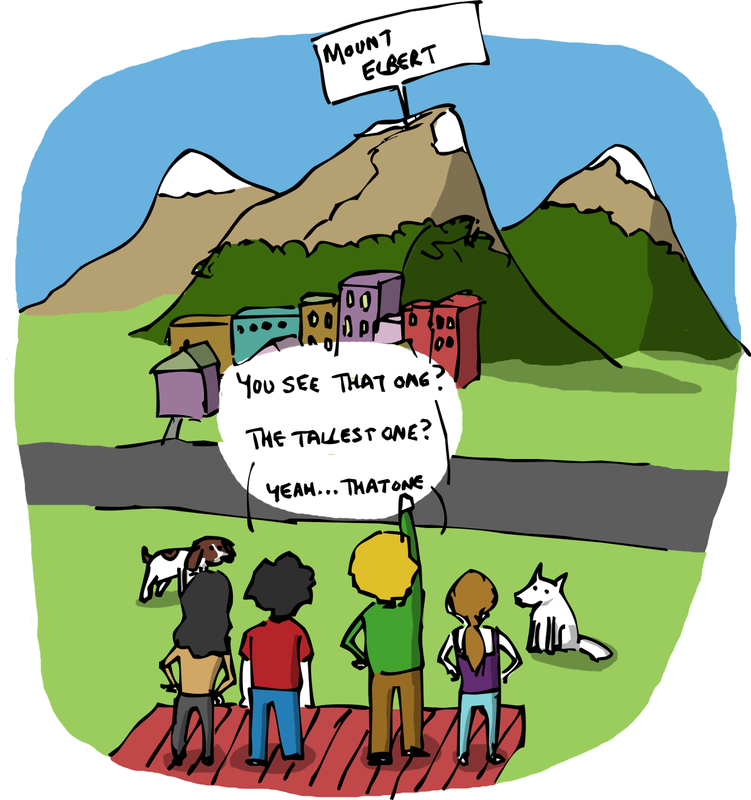 In fact, they are the preferred geological formation of the Sketchy Science team. That is why we have spent the past several weeks on and recovering from a research expedition to some of the highest peaks North America has to offer: the 14,000 foot peaks of Colorado’s Rocky Mountains. While peaks in Alaska, B.C., and the Yukon attain higher elevations, none can rival Colorado for sheer accessibility. 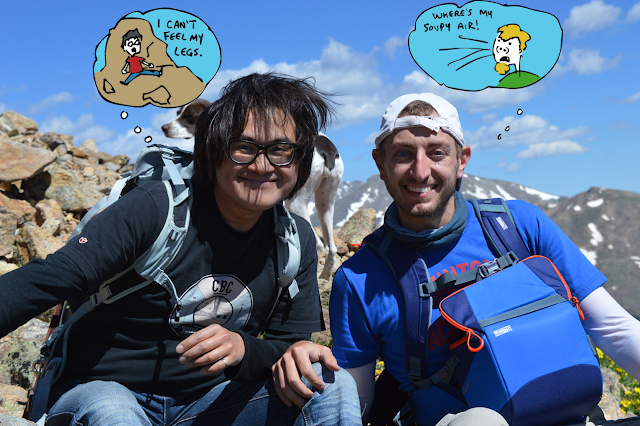 Accessibility is what you need if you want to study and report on altitude sickness. With this in mind, our writer (me) and illustrator loaded up our respective vehicles and drove, with our romantic partners and two canine companions, from our elevations of residence (0 feet/m and 1,000 feet/300 m respectively) to the highest city in the continental United States: Leadville, CO (10,200 feet, 3,108 m). 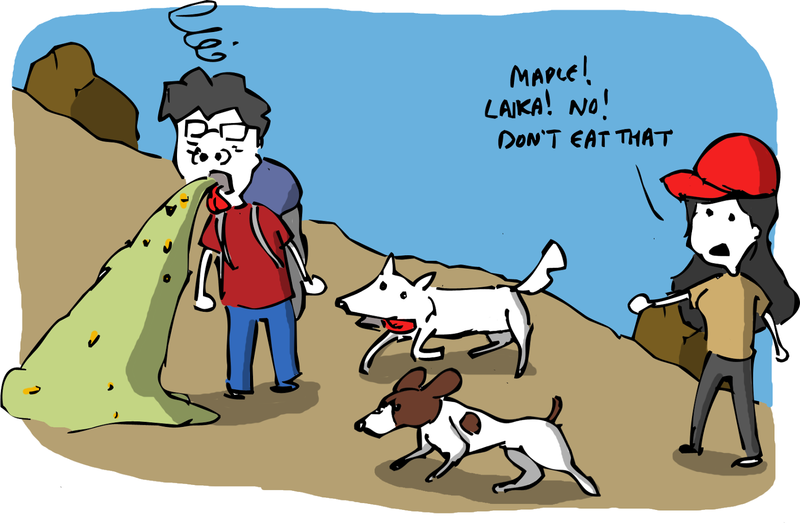 Altitude impacts the human (and canine) body in a number of important ways, but they all stem from the fact that the air at altitude is less dense. At low elevations air is compressed by the weight of all the air above it. As you move towards the stratosphere, the column of air you exist in becomes shorter (there is less air above you), and so the weight is lessened and particles have more freedom to stretch out from one another. 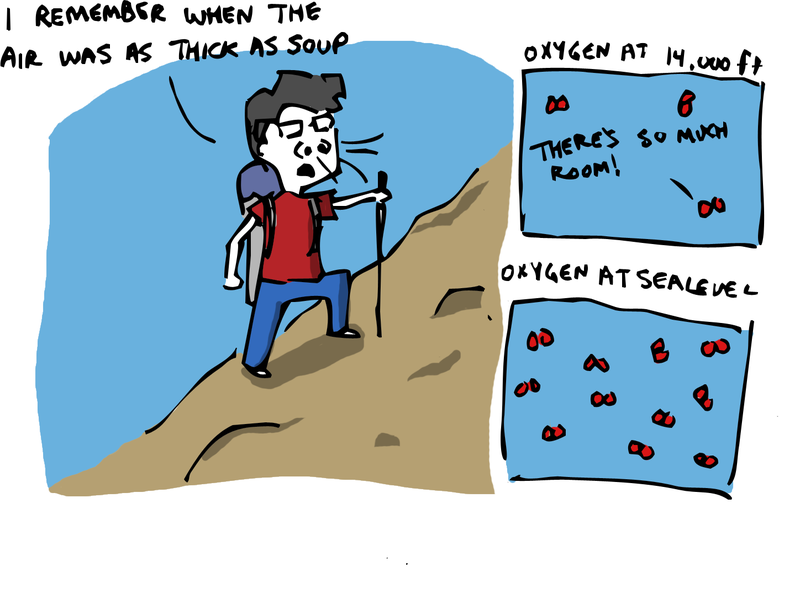 It isn’t that there is less oxygen in the air (the rate is a pretty constant 21% regardless of altitude), but in the mountains there is more space between oxygen molecules. 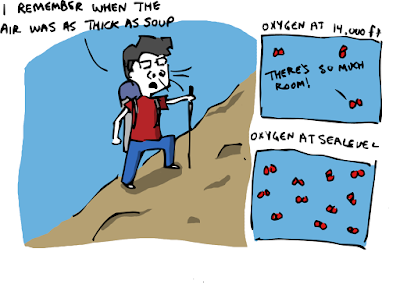 Aside from the relatively straightforward problem of your body not being able to get enough oxygen, the air at altitude is also drier. This causes your tissues to lose water rapidly to the air. Your body responds by constricting blood vessels and holding on to water and sodium in areas like the kidneys. The end result is higher blood pressure, a more rapid heartbeat, and an imbalance of moisture and salts. At altitudes as low as 5,000 feet/1,524 m, this can lead to disturbed sleep as your body struggles to balance oxygen and carbon dioxide by interrupting your breathing during the night. 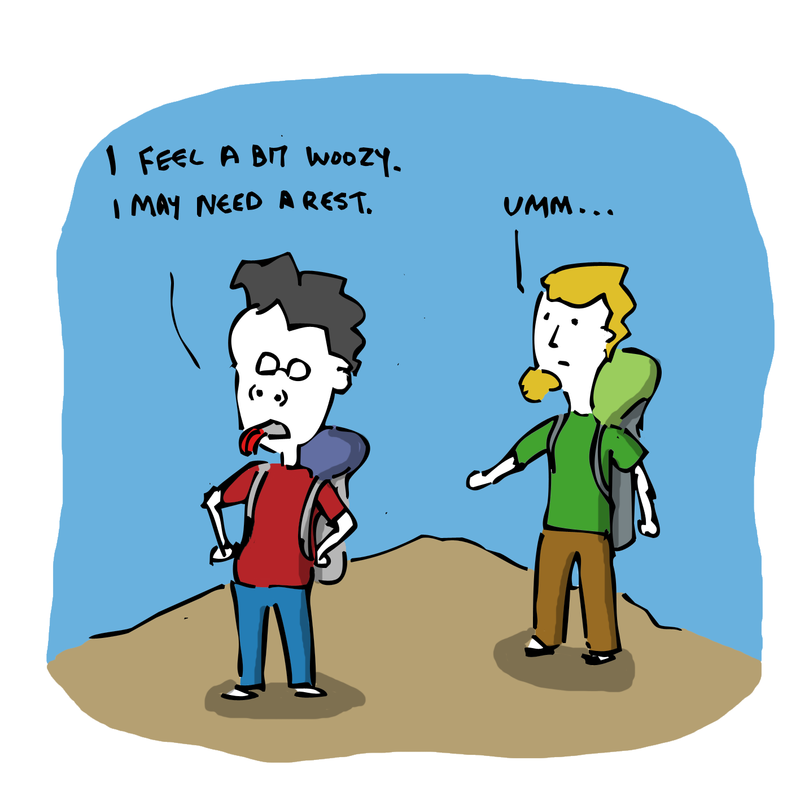 The upshot is you are unrested as you head out exploring the mountains and you make your other symptoms (if you have any) worse. During the day, your body compensates for thin air by breathing more rapidly, leading to headaches, nausea, and dehydration. At extreme altitudes (above 18,000 feet/5,486 m), the effects on your body can be life-threatening. 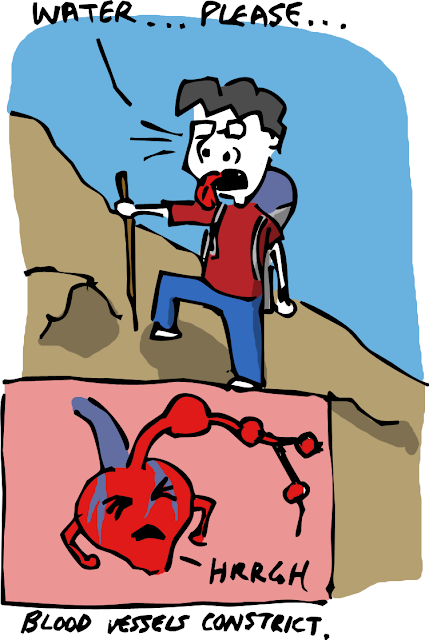 The two most dangerous conditions are High Altitude Pulmonary Edema (HAPE) and High Altitude Cerebral Edema (HACE). Both are the result of fluid leaking from your constricted blood vessels and collecting in your tissues. With HAPE, the fluid gathers in your lungs. You struggle to breath and can effectively drown without ever touching water. Unbelievably, HACE is worse as the fluid gathers in your brain. The increased pressure in your skull leads to confusion, lack of coordination, and sometimes coma and death. 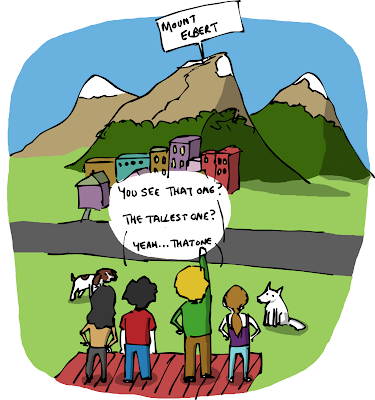 Curiously, altitude doesn’t hit everyone the same way and it is tough to predict who will struggle and who will thrive where the air is thin. Marathon runners are no better off than habitual couch potatoes. If the symptoms are mild (headache, nausea, fatigue), then they generally fade with more time spent at altitude – this is called acclimatization. With rest and plenty of water you will start to feel better in as little as 12 hours. The US Army reports that the respiratory element of acclimatization is 70-80% complete within 7 to 10 days. Between 14 and 30 days you are 80 to 90% acclimatized. Total acclimatization can take months or years, though. 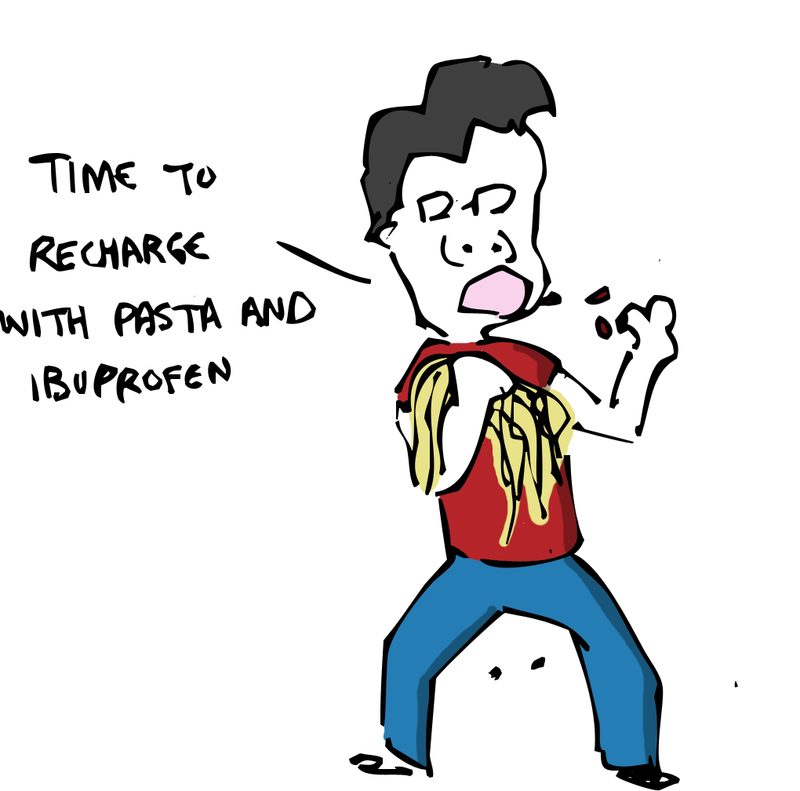 If, like us, you are not in immediate danger and have more ambition than common sense, you can find help from over the counter drugs like ibuprofen or by eating foods that are high in carbohydrates like pasta and bread. You can also prevent altitude sickness by spending a night at lower elevation before going higher and by ascending in stages with rest days to let your body get used to the new environment more gradually. In the end, the hardest part about exploring the high-country is balancing respect for your health and the power of nature (storms, avalanches, and stuff) with the urge to be a hero. Pain is temporary and glory is forever, but death is even more forever. So be safe and be responsible, but enjoy the mountains and the freedom they bring.